Treatment of mild acne involves limiting or controlling triggering factors, life style management and getting rid of the comedones with topical medications. Mild acne refers to non-inflammatory type of acne presenting with open or closed comedones, the blackheads and whiteheads respectively. In most cases of adolescents and teenagers, the comedones on the forehead, cheeks and nose are the first signs of arrival of puberty. In majority of affected cases, the acne eruptions are too mild to necessitate any treatment. 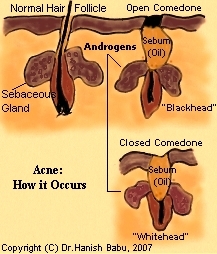 But when the eruptions are generalized and appearing in crops, early treatment will effectively control the acne. General advices and tips for dealing with acne are the same for all types of acne. These include advices on washing, skin care and lifestyle adjustments. Teens suffering from comedones, especially the blackheads may try to pick, squeeze and scrub the zits leading to worsening of the condition, and, possibly, inflammatory changes like redness and infection. This should be avoided at all costs. If you want to remove the debris from the blackheads, have it done by an experienced dermatologist or a cosmetologist using a comedone extractor only. How to Treat the Mild Acne? Wash the skin no more than twice a day with mild soap and water. In general, the mild acne is treated with a single topical application. Topical retinoids are considered the first line therapy for comedonal acne. Apply the retinoids only at night. To begin with, start at the lowest strength of the topical retinoid. Most commonly used retinoids are tretinoin, isotretinoin and adapalene, either in gel or cream forms. Gel has a drying effect and is preferred in those with an oily skin. Benzoyl peroxide 2.5-5% is the second choice in comedonal acne; but used only if the topical retinoids are not tolerated well. Azelaic acid may be used if the patient cannot tolerate benzoyl peroxide. During a follow up after 4-6 weeks, the physician will assess the response to treatment. If the response is evident and positive, same regimen is continued till new eruptions cease to appear. A maintenance application of 2-3 times every week is advised till there is no evidence of acne eruptions for at least 2-3 months at a stretch. A non comedogenic, water based moisturizer is used in the morning if the anti-acne medication is causing excessive skin dryness. during the first 2-3 weeks of topical retinoid application. This is mistaken as a worsening of the acne and the medication is stopped by the patients. Actually this reaction is an inflammatory blowout of the comedones and indicates the beginning of the recovery period. Hence, the applications should be continued in such cases, albeit at a lower concentration and frequency than before, till the reaction subsides. At times, a course of oral antibiotics may be required to tide over the inflammatory reaction. In females requiring contraception, a combination pill may be advised, as these also help control the acne eruptions. 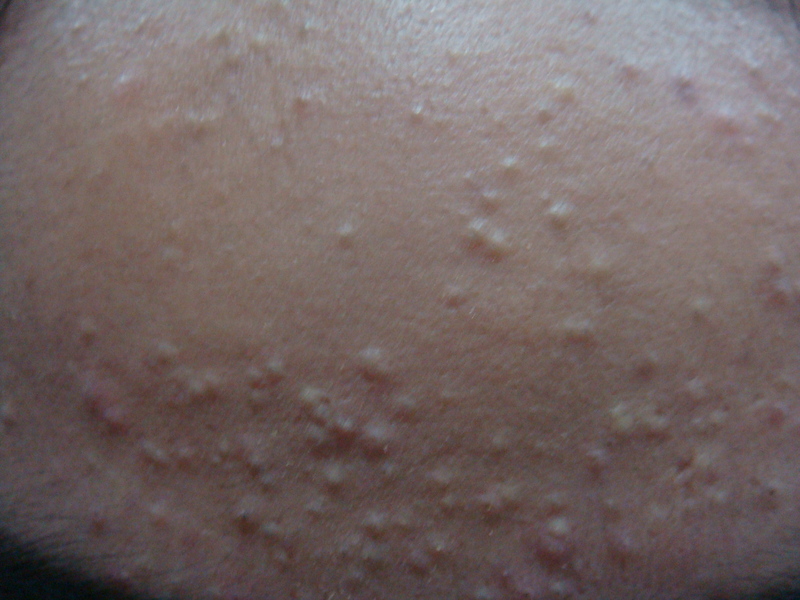 It is possible that even minor acne eruptions can cause significant negative psychosocial impacts in the affected teens. The treatment of acne will not be complete unless this issue is also taken care of through relevant supportive therapies.